Easy One Pot Creole Sauce Recipe – the best easy Creole sauce for Mofongo, jerk chicken, creole stews, and more! This creole sauce is bursting with rich, delicious flavor and is so good you’ll want to lick the pot! 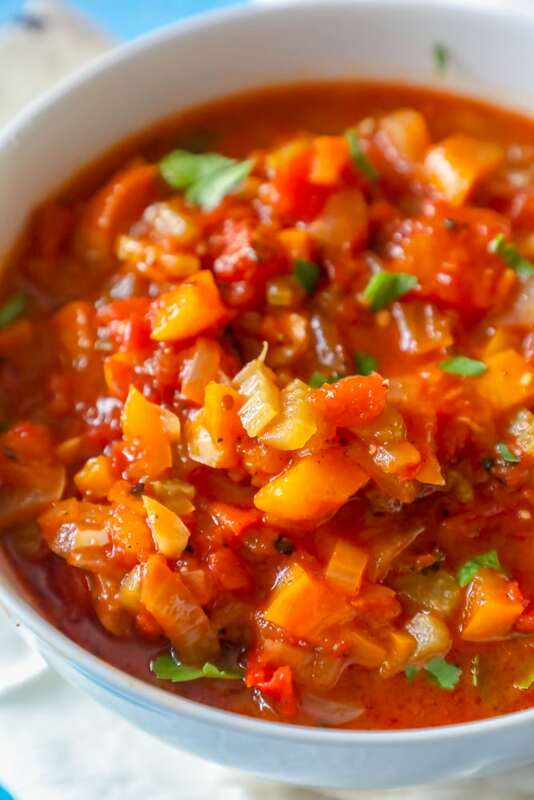 Easy One Pot Creole Sauce – this hearty and delicious creole sauce is amazing over meats, fish, and vegetables – or with rice and beans. This creole sauce was inspired by the amazingly rich and delicious sauces I’ve sampled in visiting the Caribbean. 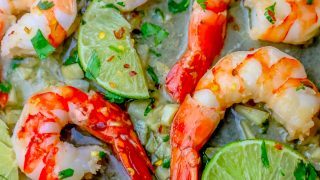 I tried tweaking a couple creole sauces to find something as rich and delicious as the sauces I sampled in Puerto Rico and the Dominican Republic – and this recipe is out of this world delicious. 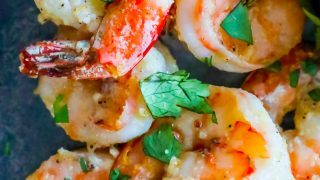 This sauce centers around a rich creamy base from the addition of butter – as well as a fresh kick from the creole “trinity” (onions, bell peppers, and celery) – as well as plenty of garlic. This sauce is a great addition to keto or low carb dishes (watch how much you serve if you are watching your macros as the onions and peppers can add to carbohydrates quickly) – but it adds a ton of flavor without any extra sugars! I hope you love this creole sauce recipe as much as I do! Just Take Me To The Easy One Pot Creole Sauce Recipe Already! 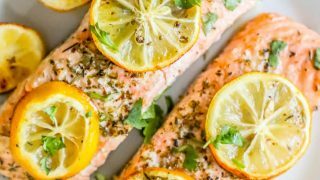 I get lots of questions on recipe posts, so I try to provide as much information as possible for my readers. If you’d like to skip straight to the recipe, please scroll to the bottom of the page – just above the comments. 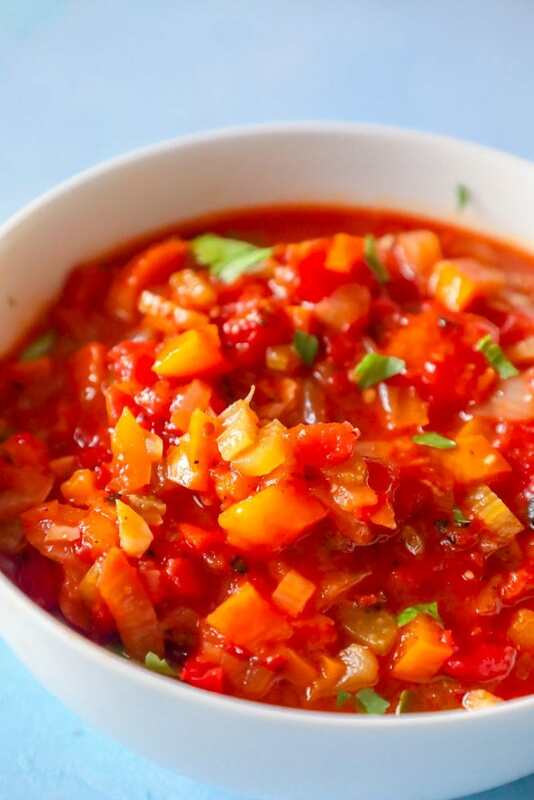 Creole sauce, which is also sometimes called red gravy or sauce piquant, is a staple of Creole dishes across America’s bayou, and the Caribbean – it is great over meats and vegetables, as a stew for rice, beans, mofongo, or other starchy dishes. Creole sauce is easy to make with simple ingredients – but the flavor is out of this world delicious – and it gets even better as it rests and reduces. Creole sauce comes together from lots of different cuisines – and helps to marry a lot of the regional cuisines that shape Creole food. Many creole dishes are based on flavors developed from the French colonial role in the developing Caribbean – but Creole also owes much of it’s deep, rich flavors to Indian and Spanish influence, as well as rich traditional African techniques and ingredients brought to the Caribbean and America’s south through the slave trades. 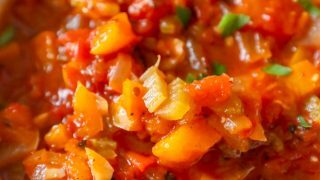 Creole sauce is nuanced and well balanced – and while rustic and focused on simple ingredients, creole sauce is as refined as any sauce you’d expect from a dish heavily influenced by french cuisine. –Watch Salt Content. Since this creole sauce tastes even better when reducing, it is absolutely essential to use butter without added salt, low sodium chicken stock, and preferably low sodium cajun seasoning. -Make ahead of time. 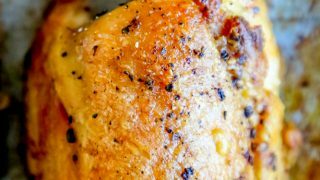 For best results, I like my cajun sauce to sit for at least two hours before serving for the flavors to really come together – but it’s even better if made a night before. 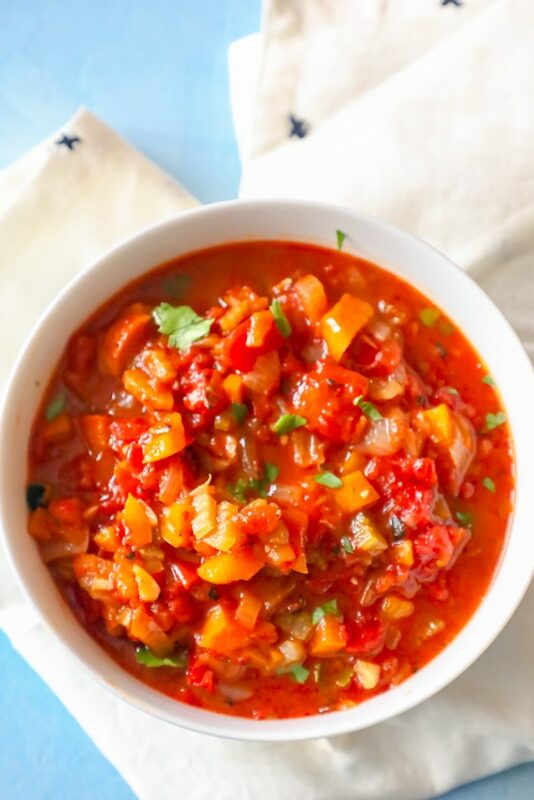 Creole sauce is an incredibly versatile addition to any meal – it is BURSTING with flavor, and has a bit of a stew-like consistency, making it great over rice or cauliflower rice, or with chicken, shrimp, or steak. While this spicy and savory creole sauce is a big part of my mofongo recipe, it is great over just about any meat or vegetable you’d like to add a kick to! The best dishes to serve with creole sauce. 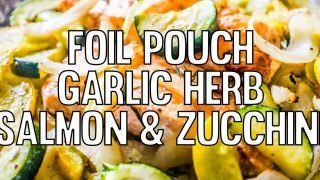 Garlic Herb Salmon and Zucchini Foil Packets - a delicious, complete meal bursting with flavor from one foil pouch! Easy Grilled Blackened Shrimp Kebabs Recipe - delicious easy blackened grilled shrimp that is perfect for salads, wraps, tacos, or over vegetables and rice for a spicy delicious grilled shrimp dinner in under 10 minutes! 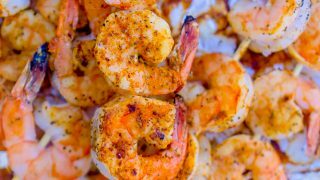 Garlic parmesan air fried shrimp recipe - delicious crunchy air fried shrimp that are full of garlic parmesan flavor, with very little oil! 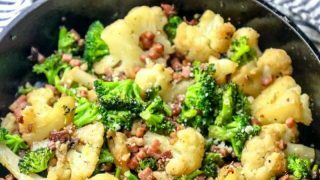 Bacon Parmesan Roasted Cauliflower and Broccoli Recipe is the perfect easy delicious vegetable side dish - tons of caramelized broccoli and cauliflower bursting with bacon and parmesan flavor for vegetables the family will actually BEG to eat! 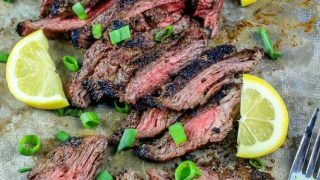 The best garlic grilled flank steak recipe ever for delicious juicy flank steak or skirt steak with a crunchy crust on the grill. 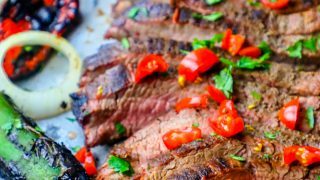 Perfect easy recipe for grilled flank steak for steak salad, steak tacos, fajitas, and more! If you love this easy one pot creole sauce recipe as much as I do, please give it a five star review and help me share on facebook and pinterest! Heat butter and oil over medium-low heat in a medium saucepan. Add chopped garlic, onions, peppers, and celery. Sauté the vegetables for about 5 to 7 minutes, until just tender. Meanwhile, combine the paprika, Creole seasoning, thyme, oregano, basil, Worcestershire sauce, hot sauce, and ground pepper in a small cup. Stir tomatoes into the vegetables then add the seasoning mixture. Sauté for 1 minute longer. Add chicken or vegetable stock and bring to a boil. Stir in the sliced green onions. Continue boiling, uncovered, for 10 minutes. Most of the liquid will cook away. Stir in the tomato paste until well blended into the sauce. Remove from heat and stir in the 2 tablespoons butter.